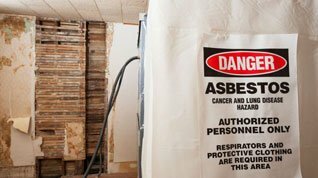 BREATHEEASY Asbestos Removal is an Industry Leader offering high quality asbestos removal and treatment services across Sydney. We are an Australian Government Approved company that have handled some of the largest asbestos removal projects undertaken in this region. Since our inception, we have been the pioneer in this industry and have helped thousands of Sydney residents live a healthy and safe life. Our on-going innovations coupled with our unparalleled technology help us do our job with utmost accuracy, thereby helping you stay safe forever. Asbestos is more harmful than you ever thought. Sure it is very durable and resistant to heat and fire but it is highly carcinogenic. The worst part is that just removing the asbestos sheets isn’t enough to ensure your safety. Asbestos fibres have a very long life and are too difficult to be removed from the atmosphere around you. Further, the removal process itself is full of risks and should be undertaken only by highly trained and licensed professionals like us. 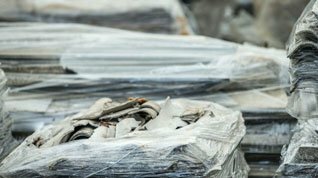 We are a team of fully licensed, insured, and highly trained people who fully understand the risks associated with asbestos removal. 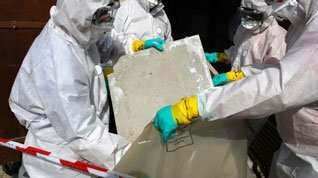 We have the high-tech equipments and know the right techniques to remove even the finest asbestos fibres from your home and make it a safer place for all. We are a licensed and qualified company. We are skilled enough to handle projects of all sizes. No matter what the condition of your asbestos laden area is, we can remove the carcinogenic material safely. Our asbestos removal services are highly cost effective. The removal process has to be handled very carefully so that the carcinogenic fibres don’t spread around and are removed completely. We at Breathe Easy comply with all the standards and regulations set by Australian Government. We will identify the hazard and use the most suitable methods to remove them. After the completion of removal, we will decontaminate the area and then, will safely dispose the asbestos.